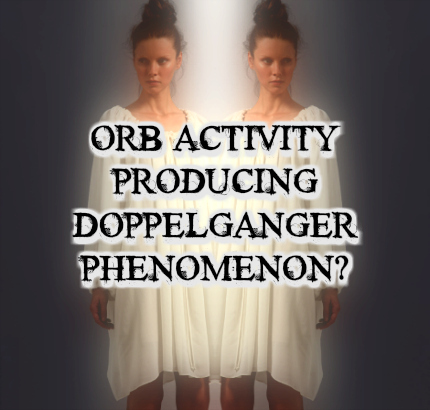 Orb Activity Producing Doppelganger Phenomenon? “When my children were younger, in our home, we'd see these orbs just running down the hall and going right out the front door, right through the front door. The front door was closed. I did notice that the kids started to act up and I never really put two and two together with that because they were going through their teen years. But now, however, when one of my daughter’s turned 14 and we were alone in the home. I went to the bathroom and I was, you know, washing my hands, taking care of my make-up. I saw her because her room was behind the kitchen. So the way the layout is, we got a room behind the kitchen, then you got the kitchen and then you come to the hallway and it crosses over into my bedroom, and in between, in the hallway is where the bathroom is. I saw her, because I had the door open, crossing the hallway to go into my room wearing my nightgown. (Jimmy Church asks her what color the orbs were) They were white. I'd say they were about, I'd say six inches round or maybe seven. It happened frequently. They stopped.